If you are looking for a new fence addition be sure to contact a local Minnesota Fencing Contractor, such such as Arrow Fence Co. With over 50 years in the fencing industry we have a variety of choices that is bound to fit your exact style and function. We have got your back, from Residential Fence Installation to Commercial Fence Installation and everywhere in between our professional will make adding a new fence to your property simple and exciting. 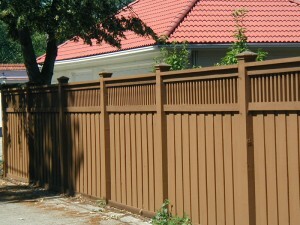 Fence in your front, back, side or entire yard with the help of our experienced team. 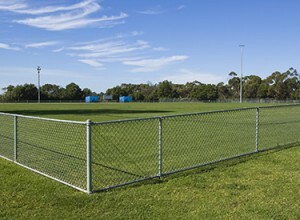 We can offer you the many popular fencing styles, such as Chain-link, Ornamental, Vinyl, and Wood. Our fencing experts can also get more intricate and design a truly ‘one of a kind’ fence that has custom details you’ve selected. Whether you are looking for a fence to add security, style or privacy; our fencing contactors will work with you to design a fence that fits your property’s needs. Our Minnesota Fencing Contractors are specialized in access control to keep your property well regulated. We always ensure our installations are up to city code and are well over your expectations. Need a fence to help draw the line for park visitors? We can offer municipal properties the same quality materials. We also understand there are specific requirements for municipal properties and we will abide by the local code. Therefore, making this project easy and sensible. From the panels to the hardware, our fences are built to last. Contact the Minnesota Fencing Contractors with over 50 years in the industry for a FREE on-sight estimate on your new fence installation project today! Our spring schedule books up fast, so calling now ensures a timely fence once the ground thaws.